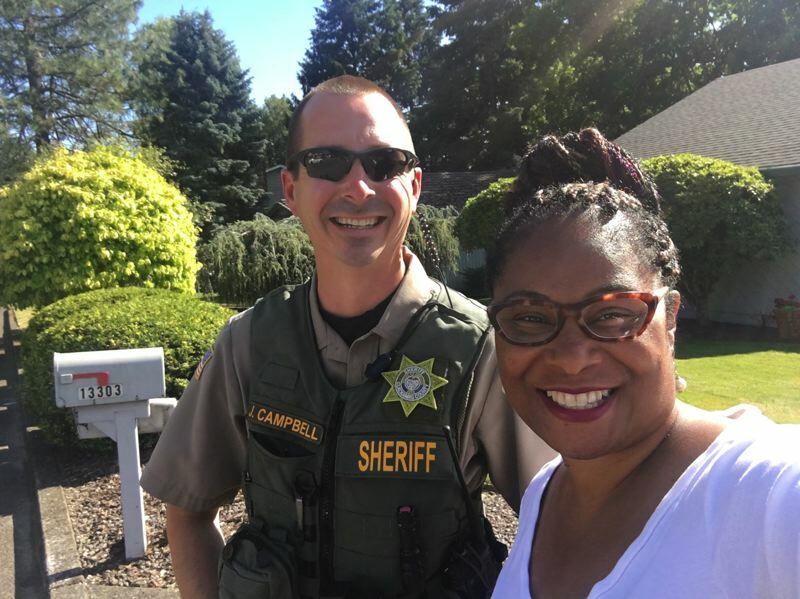 State Rep. Janelle Bynum, a Democrat from Happy Valley, made national headlines Thursday after a constituent called police on her while she was canvassing for reelection in Clackamas County. The story was spread around the country, making it onto the websites of the Washington Post and other publications. Bynum said a constituent, where she was canvassing, had called the police Tuesday because the caller thought the state lawmaker looked "suspicious" and was going door to door and typing on her cellphone after each house. A Clackamas County sheriff's deputy responded to the call. Bynum wrote in a Facebook post that the officer "responded professionally" and put Bynum in touch with the constituent, who then apologized for calling the authorities. Bynum and the officer snapped a selfie, which Bynum also posted on Facebook. "Live from the mean streets of Clackamas!!!" she wrote in the post. The incident prompted The Root to dub the hashtag, #CampaigningWhileBlack.